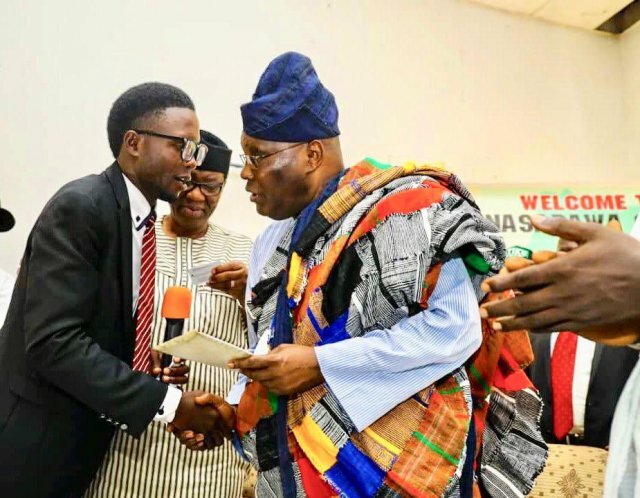 A young Nigerian man who has been identified simply as Jonathan, reportedly donated his only car for campaign outings of former Vice President Atiku Abubakar, ahead of the 2019 election. onathan just invested my campaign with his most priced asset – his only car. Like many young Nigerians, Jonathan’s belief in me will not be in vain, and is why I’m committed to providing the needed leadership to get Nigeria working again. Thank you Jonathan. This comes after Atiku gave his condition to support any aspirant that would emerge as the sole candidate of the Peoples Democratic Party, PDP in the forthcoming presidential primary ahead of 2019. “Well, I believe whoever emerges candidate of the party at the end of the day will also enjoy the support of others provided the party conducts credible, free and fair elections at the primaries”.